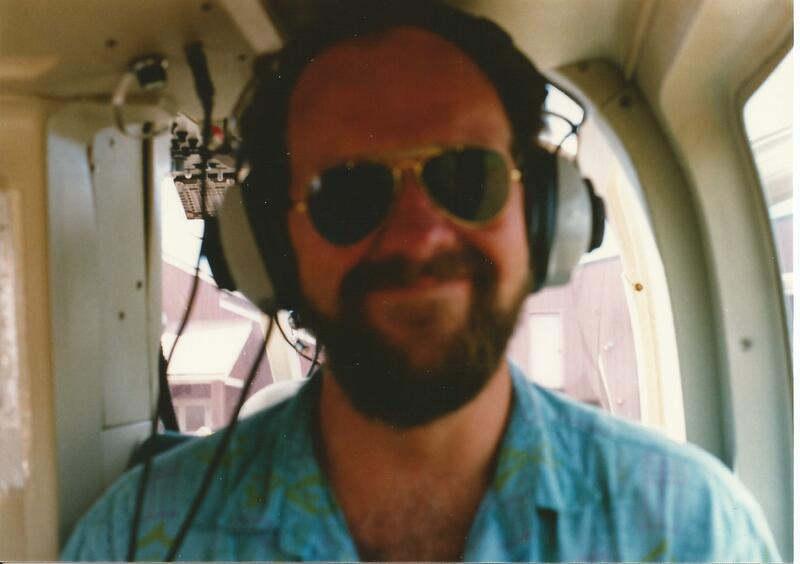 When I first started dating my husband Joe, some 32 years ago, he had always said that he was afraid of heights. Afraid maybe is too strong a word. He would say things like I don’t like heights and I am not comfortable with heights. Heights make him woozy or dizzy. After almost 30 years of marriage I can say he was mistaken and I have the pictures to prove it. We wore our little headsets to listen as he gave us the name of each waterfall and bay. He pointed out all of the tour highlights and we were able to ask him questions about the landscape. 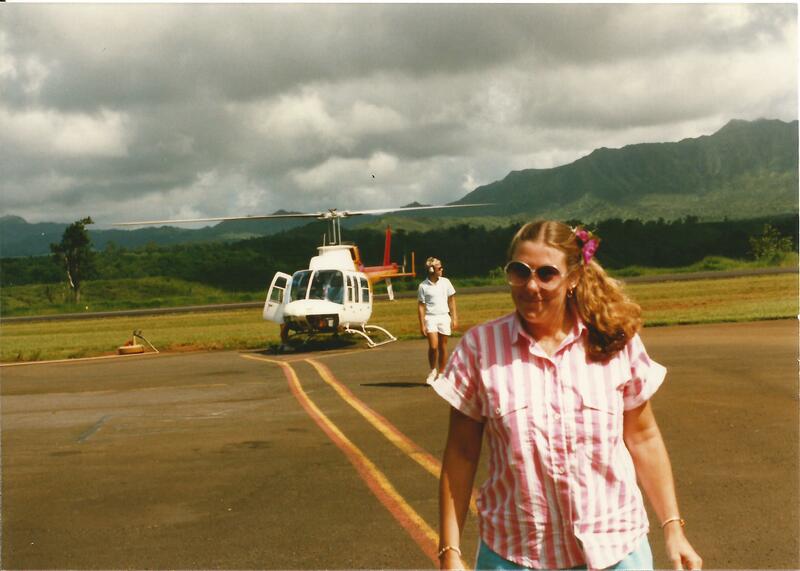 I had never been on a helicopter before and had the same uncomfortable feeling about it before we started, but it quickly became a favorite experience for both of us. On that same trip I told him I was a little afraid to go snorkeling way out in the ocean. 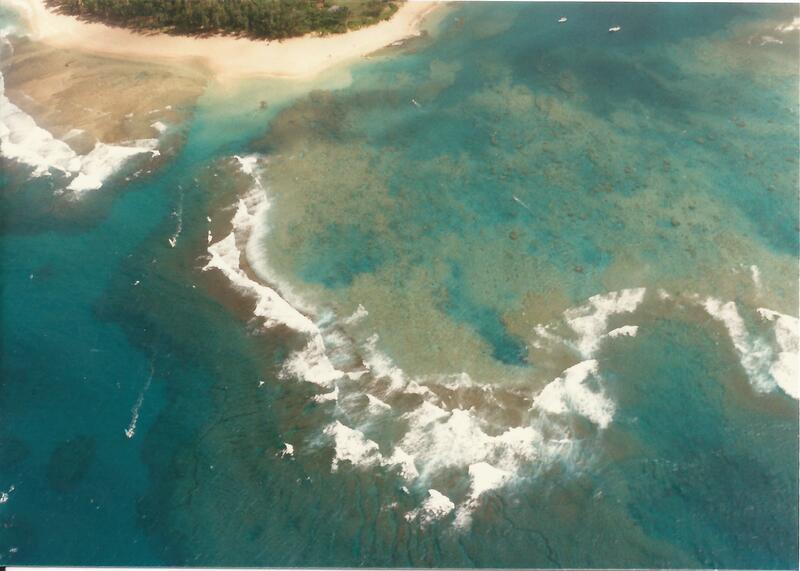 He had been to Hawaii before and he reassured me on the boat to the snorkel site that I would love it and it was perfectly safe, even though the boat tour guide indicated that the snorkelers sometimes see sharks. The guide even gave us directions on what to do if we saw any large sharks, so I was a little nervous as we hit the water. We descended the stairs of the large tour Catamaran right into the water with our masks on and ready, but as I got in I accidentally got some sea water in my mouth, and as if surprised, I started breathing shallow and quick. He turned to me and said in a really calm, but questioning voice, “What are you doing? Put your snorkel in.” It snapped me right out of it and I laughed and put the snorkel in and he grabbed my hand and we were snorkeling. We saw fish of all colors, but no sharks. I was in love with a new sport. I went on over the years to snorkel all over with Joe, including Cozumel, Mexico, the Florida Keys and Costa Rica, and about 10 years ago I even became a certified Scuba Diver. 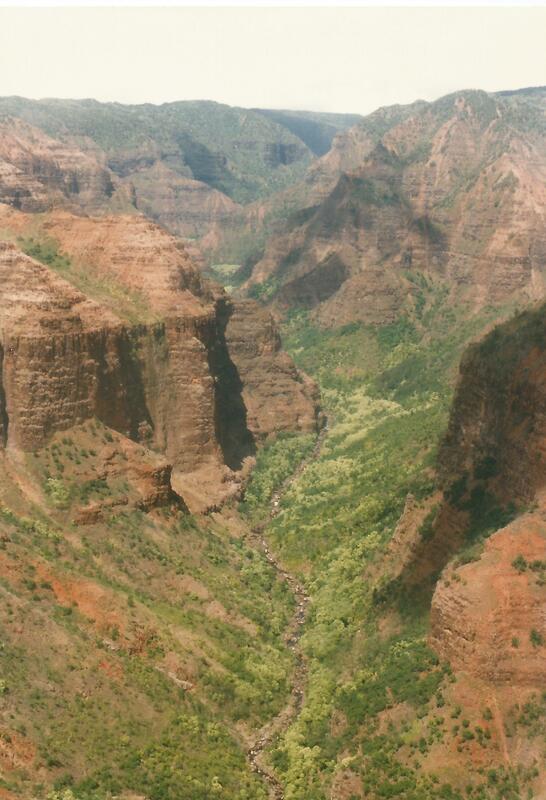 A few years after Hawaii, Joe and I went on a helicopter ride down into the Grand Canyon. The helicopter took us over Hoover Dam and over the edge of the canyon. 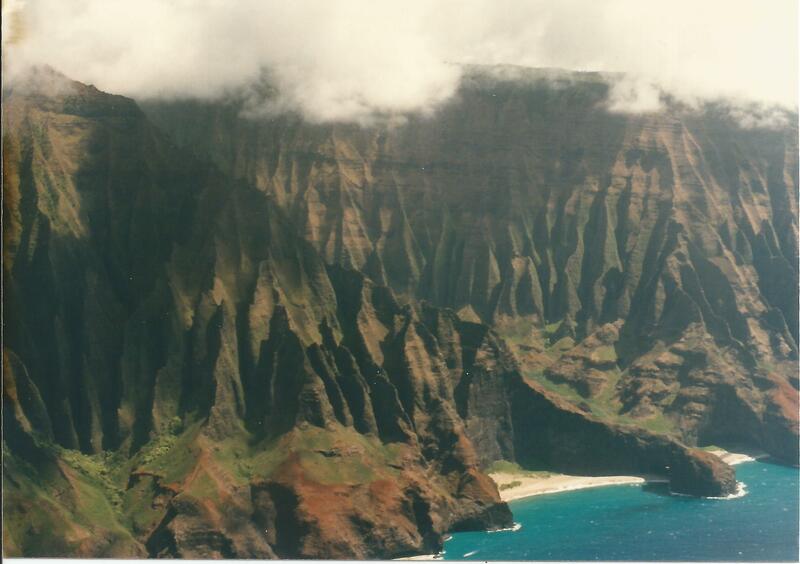 It had the same great mix of beauty, danger and a comfort in the pilot’s skills, as our Hawaii experience did years earlier. We took off from Las Vegas where Joe was attending a conference. Flying over the Vegas strip was a part of the tour that was surprisingly interesting. I am usually only interested in the nature and natural beauty, but looking at the Vegas strip from above, with the many people walking the streets from casino to casino was surprisingly cool. It looked like a colorful river moving in unison along the sidewalks. Of course the canyon was the best. After we had swooped in and out of the Grand Canyon, seeing some of the best highlights, we landed on a plateau about halfway down where we had a champagne brunch. It was amazing. Those red rocky deep cliffs and the sparse vegetation were beautiful. 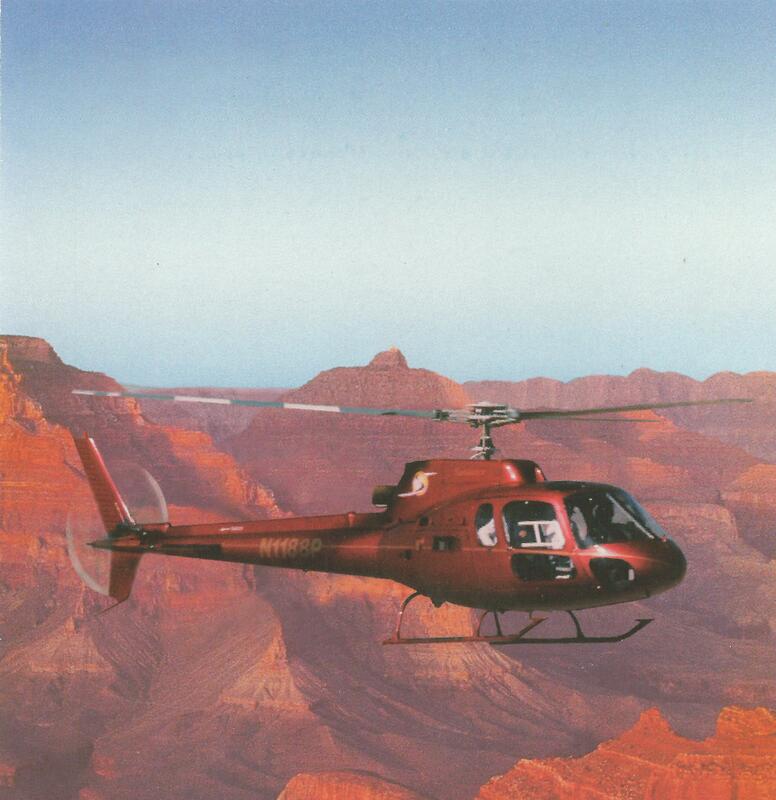 I have hiked the Grand Canyon but, there was no better way to see a lot of the most famous parts of the Canyon in a small amount of time than to fly over it and get that bird’s eye view. We have done a lot of things involving uncomfortable heights and things that took us out of our comfort zone. On our European vacation for our twenty fifth anniversary, we took the steep railroad up to the top of the mountain in Innsbruck, Austria. It was the railroad used during the Olympics. We also took the railroad to the top of Pikes Peak in Colorado when we were on our intergenerational trip with my parents and our kids. Both took us to great heights and gave us that bird’s eye view that almost makes a person light headed. It was fabulous. 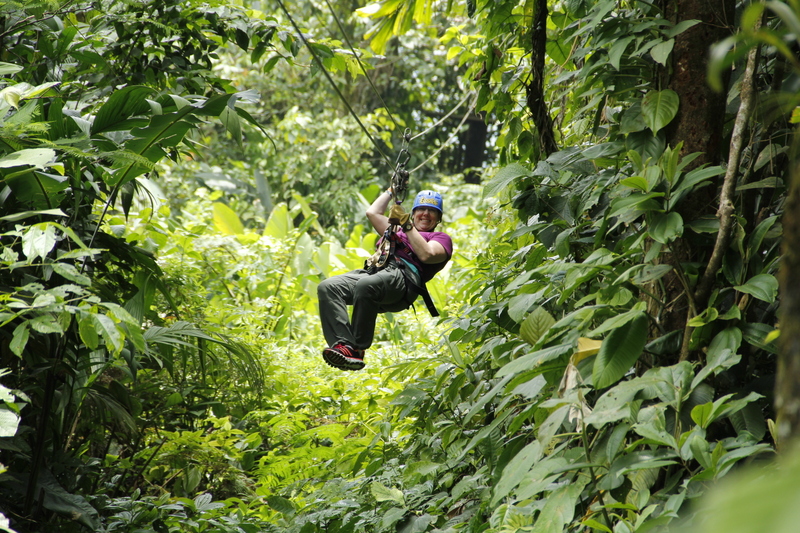 In 2014 we went to Costa Rica and we zip lined in the rain forest canopy. Our platforms were so tall, they had to build onto the large trees because they were too tall to be braced to the ground below. That was exciting and a little scary, but we were bound and determined to give that a try and we both agreed we would do that again. ago not to let our fears define or limit us, and we have been good in encouraging each other even when our gut feeling may not agree. They say you should go with your gut, but that old adage is wrong when it comes to travel and adventure. Your gut many times tells you to be afraid and cautious, but if you never did anything that was a little scary and out of your comfort zone, you would never have that exhilarating feeling of flying sideways over a waterfall on Kauai, getting a bird’s eye view of the Grand Canyon or tasting the salty ocean water and watching for sharks.